This is another classic Lake District walk, the Pikes proving irresistible to huge numbers of walkers. 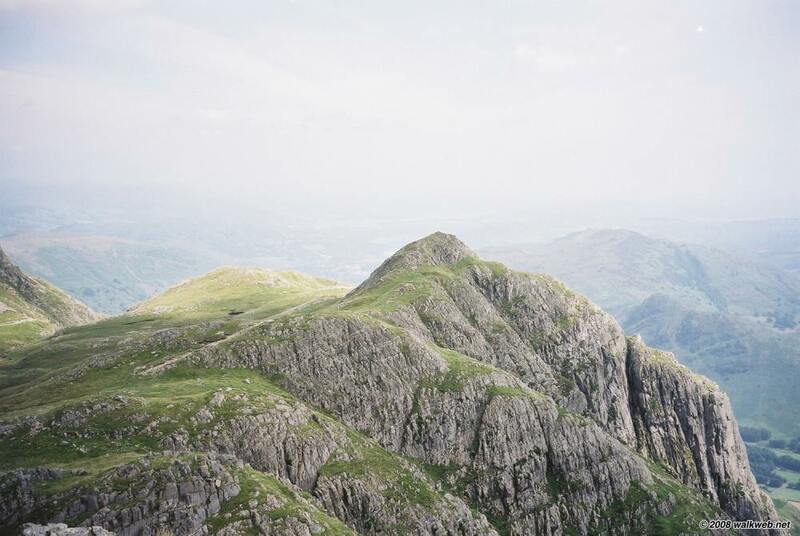 Located in the same area as the previously described walk, Bowfell, the weather I experienced could not have been more different – a glorious summer’s day. We parked by the side of the B 5343 near the Old Hotel – it was very busy as is usual on a fine weekend day. The walk commences on the Cumbria Way as it passes the Old Hotel and then proceeds westwards into Mickleden. After a longish flat section, the track turns north uphill by the side of Stake Gill. The track gets steadily steeper before levelling out at Langdale Combe and then dropping down to Pile of Stones. From here the track proceeds southwards across Martcrag moor eventually reaching Pile of Stickle, one of the five peaks in the Pikes. We then dropped down eastwards and then climbed Harrison Stickle before dropping back down again and then traversing Loft Crag and following the path to the south of Dungeon Ghyll downhill back to Langdale, curving off south-west from the public footpath just after Raven Crag to take the path that passes the Old Hotel and most importantly, its Hikers Bar, before arriving back at the start of the walk.